We had an idea for Mother’s Day this year. We wanted to give the neighbors a little something to celebrate. 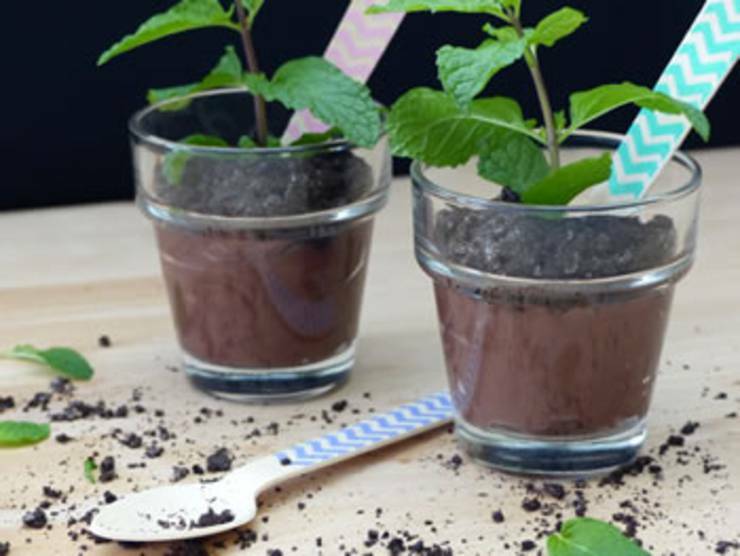 We came across these cute flower pudding pots and knew this was the little something (they actually are inspired from Martha Stewart’s wedding collection). 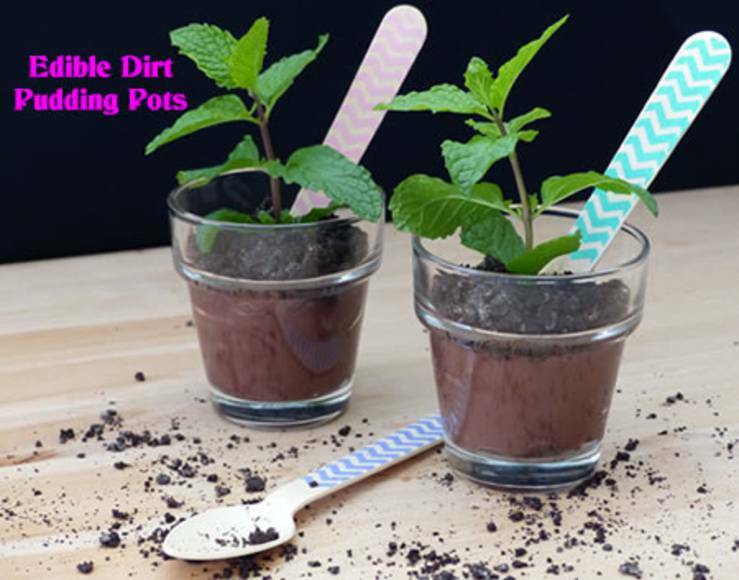 These edible no bake dirt flower pots are very easy to put together and turned out so adorable. Start by washing the votive holder and make sure you dry it is really good. Then you will want to make your favorite chocolate pudding or buy pudding cups. Crush your Oreos – you can do this in a bag or blender/food processor. Next, fill the votive holders about 3/4 full then top with crushed Oreos. 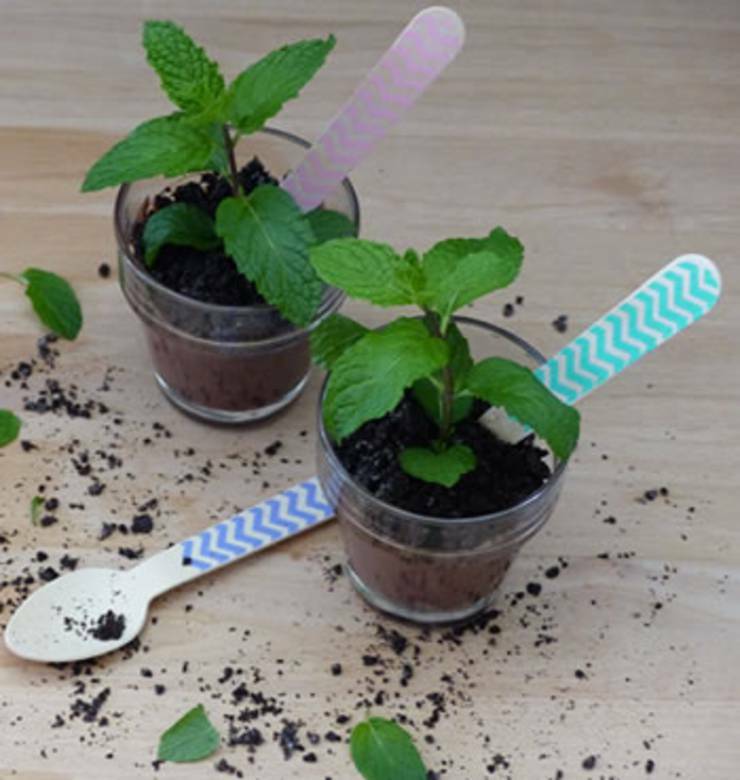 Plant the herb plant add a spoon and you are done. Flower Pot Party Favors, Edible Centerpiece, Wedding Favors, Baby Showers and much more. How would you use these? A gift, for yourself? We would love to hear from you! Find great DIY Craft Projects in your area.